Vancouver, British Columbia--(Newsfile Corp. - February 13, 2019) - Contact Gold Corp. (TSXV: C) (the "Company" or "Contact Gold") is pleased to report the identification of 3 high priority Carlin-type gold targets located on the northern part of the Pony Creek gold property ("Pony Creek"), immediately south of Gold Standard Ventures' ("GSV") Railroad Project. 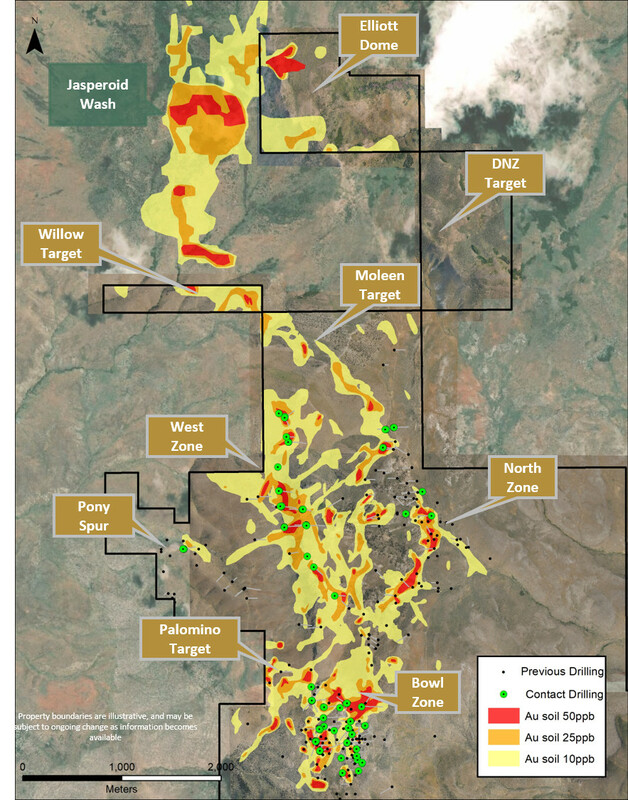 "Our ongoing target generation efforts at Pony Creek in 2018 delivered more new large-scale drill targets using our successful exploration strategy. 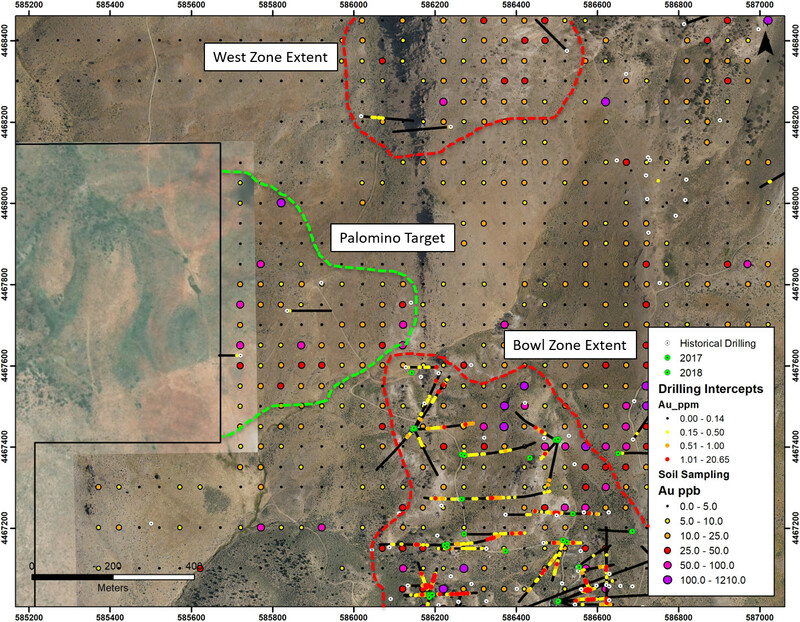 Our systematic approach validated by the recent oxide gold discovery at the West Zone produced the new Palomino, Willow and DNZ targets. The strong gold-in-soil anomalies supported by mapped structures and CSAMT anomalies in areas of widespread hydrothermal alteration that are typically associated with Carlin-style gold mineralization are located along the same structural corridor that hosts our Bowl Zone, West Zone, GSV's deposits and Newmont's mines further north," stated Matt Lennox-King, CEO of Contact Gold. 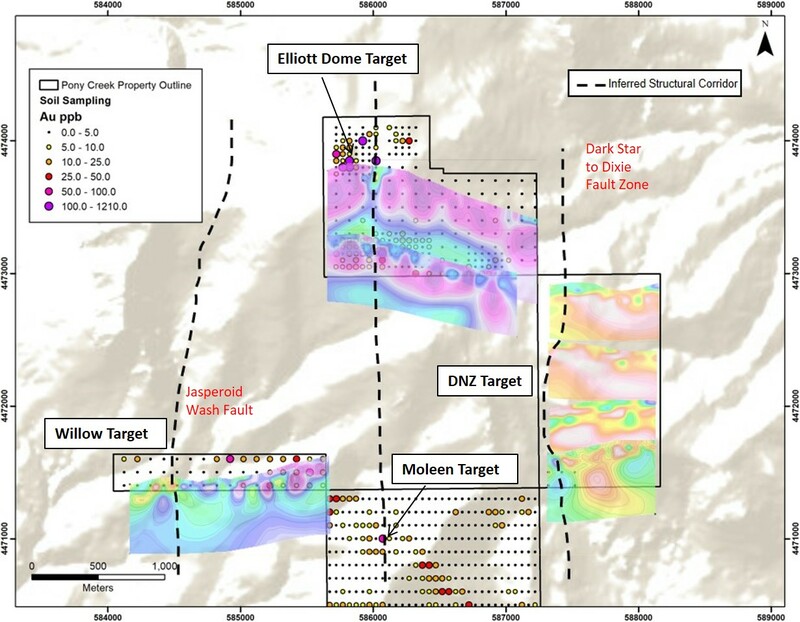 The Willow Target is immediately south of GSV's Jasperoid Wash discovery and is a continuation of the 1.5 km gold-in-soil Moleen Target, which has not yet been drilled.